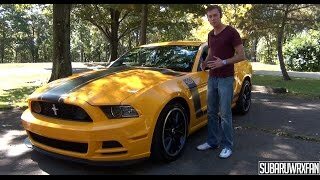 Ford brings the road racing legend, Ford Mustang Boss 302, back to the streets after 42 years! 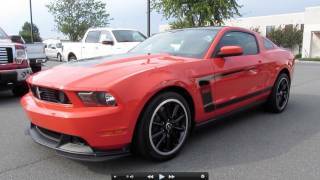 Based on the 2011 Mustang GT, the limited edition 2012 Mustang Boss 302 features upgrades for all of the vehicle systems: engine output, brakes, suspension, interior and exterior. 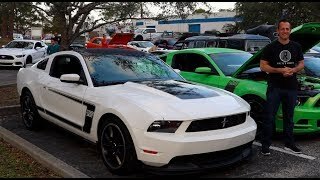 The new Boss 302 pumps 440 HP of power and 380 lb-ft of torque and has a top speed of 155 mph (241 km/h). 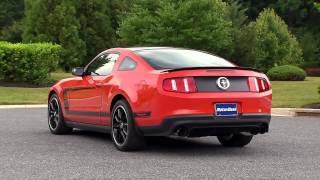 Ford gave the green light only once before: In 1968, management approved a special Mustang – a car that sacrificed nothing in its quest to be the best all-around road-going performance machine ever created by Ford Motor Company. 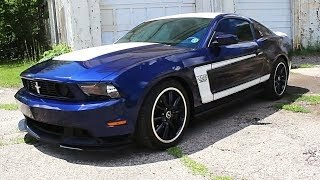 That car became the 1969 Mustang Boss 302, and it remains one of the world’s most sought-after examples of American performance.